Elaine Grenier has worked in clay for over 30 years and earned a Master of Fine Arts in sculpture from The University of the Arts, Philadelphia, PA, in 1999. She currently lives and works in San Miguel de Allende, Mexico. Elaine Grenier’s current investigation of form explores the idea of smallness—forms overlooked or invisible to our eyes because of their size, and forms taken for granted because they are so common in our daily lives. She begins by examining specific natural elements as small as cells and seeds, then extracts perceived patterns of formation and growth, transforms scale, detail and texture, and elaborates on their unique structures and geometries. Identify Elaine’s outcome goals for renewing her old website. Map out the most intuitive way to display her work and have it be navigated from all digital media. Design, revise and launch the site in under 30 days. 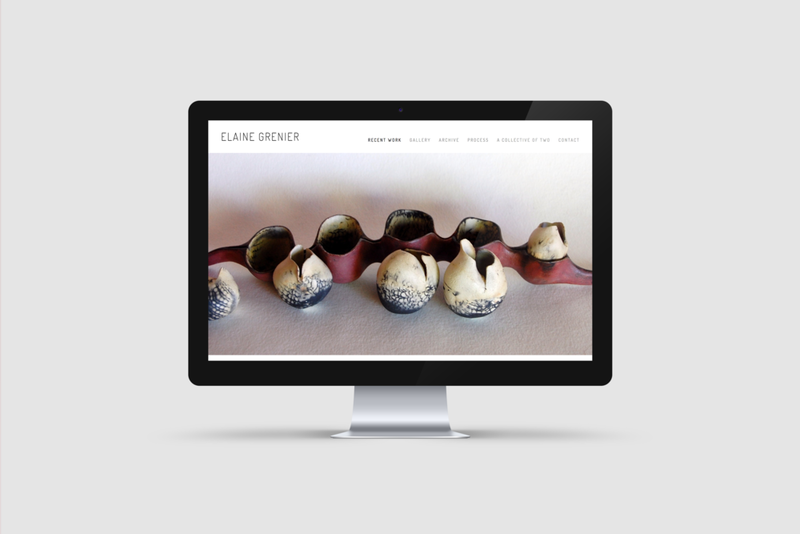 In the first meeting, Elaine met with Ria Hardcastle (Founder of The Kreative Kind) to establishe the website’s purpose, to document and display Elaine’s work, and to show her connection to other artists and galleries. Together they itemized all of the information Elaine needed on her new website. Ria walked Elaine through comparable? websites and templates and talked about how each possible option would affect the user experience from different devices. Ria created a work order and proposal for the website. Once it was approved by both parties, Ria and Elaine proceeded. Together they settled on a design, exchanged files and began to plug the media into the website. From there they polished fine details, including the order of images and specific wording. Presto! Not long after, the website was completed and live!